Sumi Ink Club at CicLAvia! 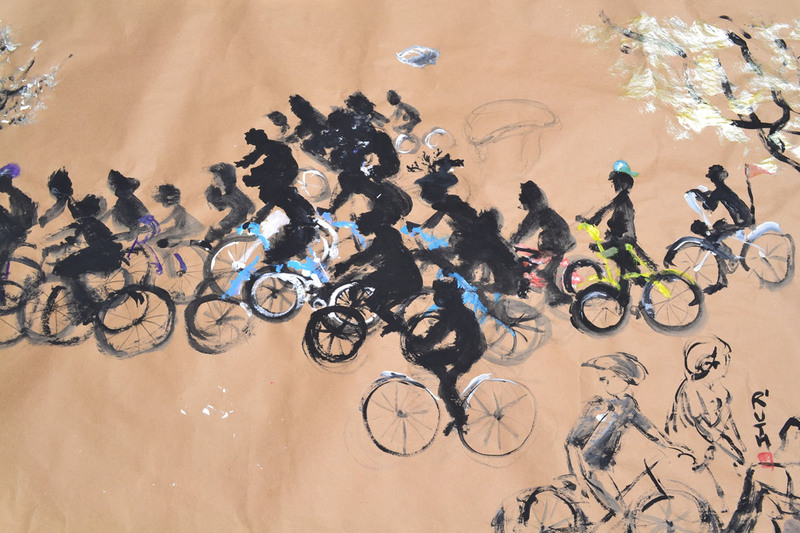 Come paint with the Sumi Ink Club in Little Tokyo (downtown Los Angeles) during the Sunday October CicLAvia event. All materials (ink and brushes) provided , just show up and join in on a collaborative Japanese scroll ink drawing! If you can draw a circle, we're looking for you! Just look for us on the sidewalk, at the corner of First and Central.